Operating system: Windows 64 bits. CPU: 4 or more FAST cores, the more the BETTER. RAM: 4 Gigabytes (more RAM may be needed for high core count CPUs). Console style game pad with two analog sticks is HIGHLY recommended (although Light Lands may be played with just mouse and keyboard). Graphic card with OpenGl 3.3 or higher. Does NOT use DirectX, DXR API nor NVIDIA RTX. You are advised to download and play Light Lands before buying it in order for you to asses speed performance on your hardware. Orders should be directed at alberto.rd.mr@gmail.com with subject ‘Light Lands physical edition’ and clearly specifying name and shipping address. Be sure to write from your PayPal email as this is the payment method. The game costs 21€ with international free shipping. Light Lands is a photon simulation environment which uses Raydiant++ graphic engine through the lightspectering rendering module. It doesn’t draw each frame, instead they emerge as a byproduct of synthetic photons accumulating on a virtual photographic plate. It’s an ongoing interactive Monte Carlo simulation. Representation quality is linearly proportional to CPU power: Raydiant++ will take all cores/threads and max out your CPU. Light Lands is retro itself in the sense that in order to use this graphic technology at 2018 the display resolution is kept low, not unlike 8 bit games. You may think of the low resolution and noise of Light Lands in a similar way as other retro systems anomalies like ZX Spectrum color attribute clash or Amstrad CPC mode 0 ludicrously wide pixels: the result of technology limitations at the moment of making the games. Light Lands feels retro at 2018 because it uses technology for the future?. The lightspectering technique has some parallelisms to jpeg compression. 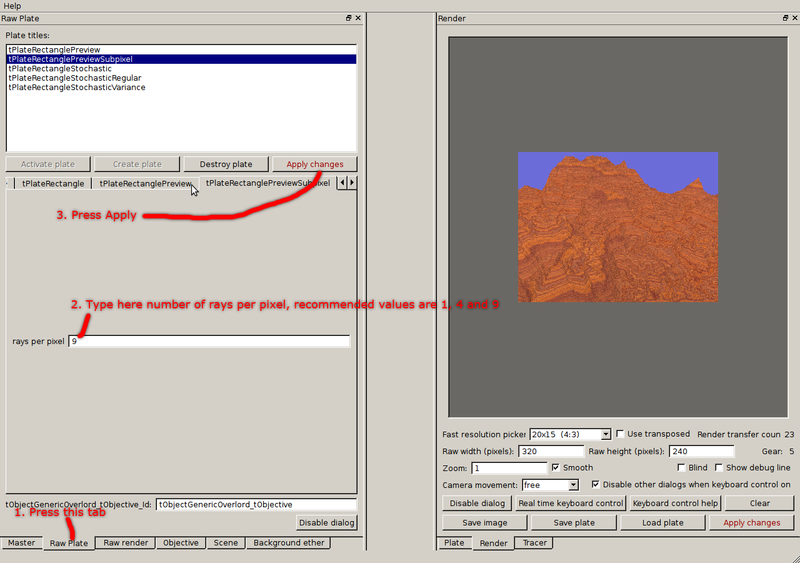 The jpeg algorithm recognizes that the lightness (gray scale) information of an image needs far more quality/detail than the color. So it separates both and devotes more resources to represent lightness than to color. Lightspectering is a collection of techniques tweaked to work together to achieve something similar on a interactive stream of images of a live user controlled camera. In this case is proposed that it’s more important to represent in a lagless way the effects of user controlled camera movement on the live image stream than the effects of world change. For world change we mean: lighting conditions change and object movement/morphing. So lightspectering allows for the camera movements to be reflected instantly on the live image stream. Then the lightning and object changes are progressively reflected and updated at a lower rate as allowed by the available CPU power. Thus we can produce interactive 3D games with full scene realtime global illumination on unlimited dynamic surface and volumetric lights on current (2015) hardware. With lightspectering the 3D graphics card is used lightly to keep frame rate constant by artificially increasing inter frame coherence dynamically only when needed depending on the complexity of the scene and the power of the CPU, hence making it possible to raytrace our way trough 30/60/… fps of global illumination game play on an open world without LOD or fog-limit. Lightspectering reduces the computing power needed to real time path trace a scene by orders of magnitude, dynamically. A drawback of lightspectering on not powerful enough CPUs is an added effect similar to motion blur. Light Lands is tuned to work on an average 2015 i7, so it’s lowres. Still it gives a feel now for what it can be done in the near future. Another way of making this technology available now in HD and without noise would be through a cloud service. Raydiant++ engine is specially suitable for this as its performance grows linearly with server count. Raydiant++ has several rendering modes like global illumination, classic raytracing, preview mode… . 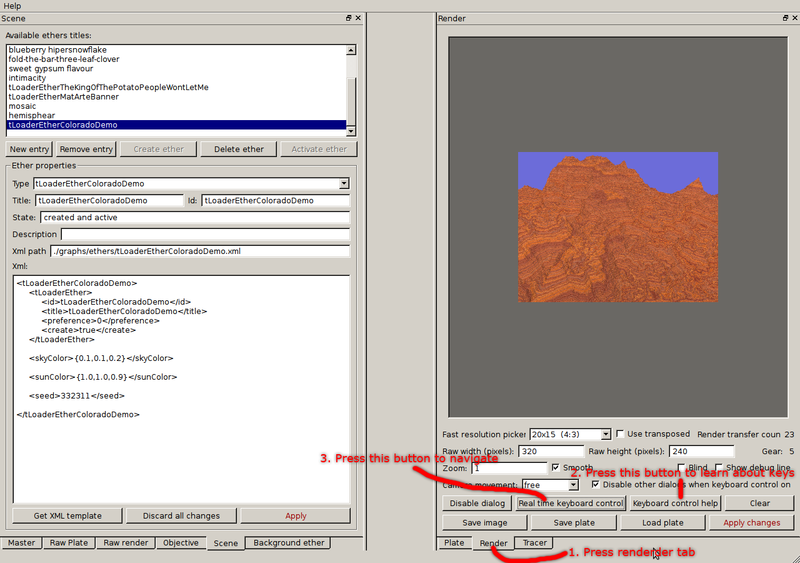 The classic raytracer mode is around 30 times faster than the global illumination mode. I considered whether to use classic raytracing for Light Lands because it has no noise, gives realtime good resolution and has good hard shadows. In the end I decided towards global illumination because it’s more of an improvement over traditional hardware accelerated 3D game rendering. As lightspectering method accurately calculates recursive refraction and reflexion it’s specially suitable for VR. Also lightspectering allows to select image quality on a per pixel basis which may be useful to leverage pupil tracking as a mean to devote more computing power to where the user is looking to on each moment and less to his peripheral vision zone. On Raydiant++ engine no LOD is needed and light phenomena happen naturally (no need for constant tricks): recursive reflection, recursive refraction, focus, dispersion, caustics, global illumination, iridescence and more. Because of the efficient use of available SMP on current and coming modern powerful CPUs it may be of interest to Intel and AMD for this technology to go mainstream, since it will justify the need to get as many CPU cores as possible thus reversing modern trend to push for better graphics cards and shifting interest to CPU instead. Fractal procedural mountains (with no memory footprint). Superquadric specialized for integer exponents. Cylindrical helicoid, right handed and left handed. Elliptic cylindrical helicoid, right handed and left handed. Box helicoid, right handed and left handed. Generic polyhedron (with holes and non connected). On the procedural front among the many generation functions the a-maze function family can be heard and seen throughout the game from the menus to the stages. SFML: nice portable multimedia libraries. Inno Setup by Jordan Russell. Linux: best OS there is. ‘Texture and modeling: a procedural approach’ by David S. Ebert, F. Kenton Musgrave, Darwyn Peachey, Ken Perlin and Steven Worley. Xolonium fonts: by Severin Meyer. Mate: no nonsense desktop GUI. 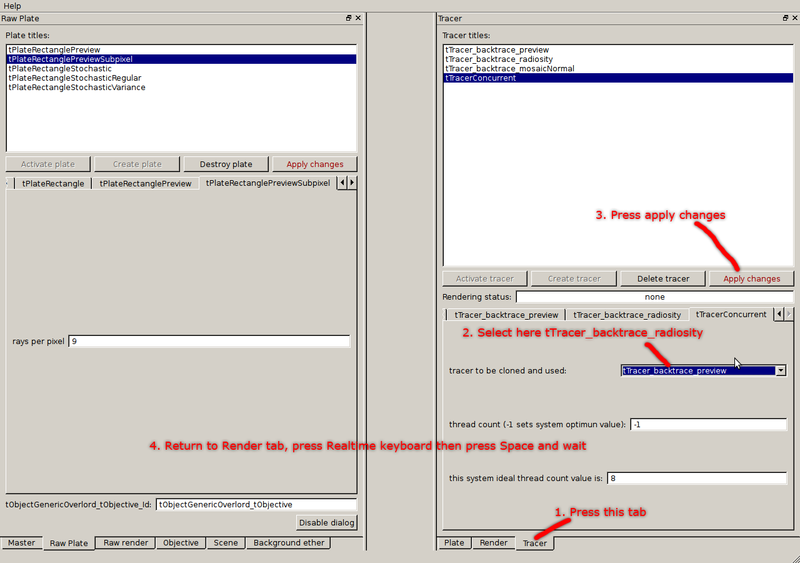 Gnome classic: no nonsense desktop GUI. If you have difficulty launching the game this is probably because you have ‘.js’ files associated to an action different from executing. Just go to ‘Program Files\Light Lands\multi-soliton\build\’, right click multi-soliton.exe and ‘Run as administrator’ (thanks to fibs111 for pointing this out). Realike is a holistic simulation engine based upon the idea of atom that unifies what you see with what is detected (What You See Is What You Touch (WYSIWYT)) and let physic interactions emerge by themselves. It’s inspired by my previous work from 2004 Pentium IV 3000MHz II: fabric. The nominal way of making 3D games was and is being explored thoroughly by most developers, that is: everything in the game is an empty triangle shell controllable through predefined animations. But (and this is a big but) the interactions are performed between invisible bounding volumes. Also if you want something to be breakable you must program it specifically. There’s nothing wrong with this traditional way, several of my all time favourite games fall under this category. But there are another possibilities. Here is mine: every part of every interactive object in the game behaves as it should by itself. Just put out there your avatar or any interactive part of the scene and attach to it some forces applied to specific parts (= muscles) and you are ready to go. All collision detection will be performed over what you see on screen: What You See Is What You Touch (WYSIWYT). Fracture patterns will appear spontaneously whenever enough stress emerges on some part of the system. No need for separate handling of bounding volumes for collision detection and visualization, this just happens by itself whenever something is constructed on the engine. New exotic types of avatars are possible, for example real bipeds/quadrupeds. Watch the video for another example of a wrinkled thick-fabric like ball. The difficult to rate advantage of an exciting new feeling. Hard to describe how enticing is to control an avatar inside an all atom world. You’ll have to trust me on this one until the game ‘Fathomed dodecahedron’ is released. On the game editor front whole new approaches are possible all stemming from the fact you are now dealing with real filled objects with internal structure instead of empty shells. Potentially everything can bend and/or break without any extra effort, it will just happen under the right stress. If individual atom behaviour is well programmed then 2 natural physic traits will emerge by themselves without having expressly been coded: precession on rotating bodies and angular momentum. The video below has been rendered with the Raydiant rendering engine, also all the geometry has been procedurally generated with Raydiant from a digital photo using http://cutemosaic.com. As you will see there are several gear floors mounted in a clock like fashion. At the beginning of the video a close-up of an emerald bearing shows refraction and reflection. The surface of the uppermost plating is bumpmapped and modelled with triangles. Also cylinders, stretched spheres and boxes are used as geometric primitives. The gears are procedurally bumpmapped on the edges. Everything has global illumination and several material kinds with unique light scattering/dispersing profiles are used. Can you see what is depicted by the whole gear maze? Pay attention to the inscriptions along the way and make sure you watch it on HD setting. The following video has been rendered with Raydiant over a period of 3 and a half days and It’s composed of around 3000 frames. The camera path was graphically edited inside Raydiant using 3er degree polynomial splines to smoothly interpolate location, orientation, speed and fov. To enrich the visual feedback during the camera path designing the render mode was set to full global illumination, giving around a frame per second at low resolution. This way the real refraction/reflections and global lightning were taken into account in order to create the video. This is the first Raydiant made video and all it’s geometry was automatically generated inside the engine using its procedural API from a digital photo of the Brandenburg Gate. This was done at Cutemosaic. Special thanks for the music go to the group ‘El perro de nadie’ (http://elperrodenadie.foroactivo.com). Download Colorado here, execute Colorado.sh and please mind this instructions. How to select the antialiassing level. How to make global illumination snapshots. Should circumstances allow it (meaning time is available) I intend to release a very simple concept game taking place on a large scenario, may be with real time completely dynamic global illumination over unlimited light sources. These mosaics have been made using some filter trickery, isosurfaces, height fields, procedural 3D manipulation and lastly rendered with the Raydiant engine. Try it with your own photos at cutemosaic.com. After some fine tuning, the mosaics produced by the Raydiant engine at http://cutemosaic.com are now showing for what they are: full global illumination 3D renders. Try any of this images at full resolution and see for yourself. And remember to do it with your photos for free at cutemosaic.com. Also there is a new improved web interface.